I am compiling a series called “Election 2016 Prophecies- Which Are Correct ?” in which I hope to review all the prophecies about the coming election, and events which relate to it. It seems like there are prophecies on the internet for Trump being elected, others say Obama is going to stay in the Office, and even that Hillary will win. Through this process, I hope to gain some better clarity for myself. This is one of many more to come. I find that the older dreams and visions are rather interesting, because it eliminates the possibility of current events altering what is being seen. If a prophecy is from the Lord, then what is presented should be accurate and not of the mind of the person who received it, but rather God giving it. When you read this vision, take into consideration the vision was updated back in 1997, and again in 2000. Look at what Martin saw in the vision and what is written in his interpretation. Distinguish the thoughts of the author and the vision given and draw your own conclusions. 16 years has passed since he added his thoughts on this prophecy. Here is what I picked up from the vision. #1. This was an open vision, not a dream. Visions are clearer than dreams, and are rarer than dreams. So that is interesting to note. #2. “One of the stars fell to the earth“ – He mentioned there were 6 stars and 1 of them fell. 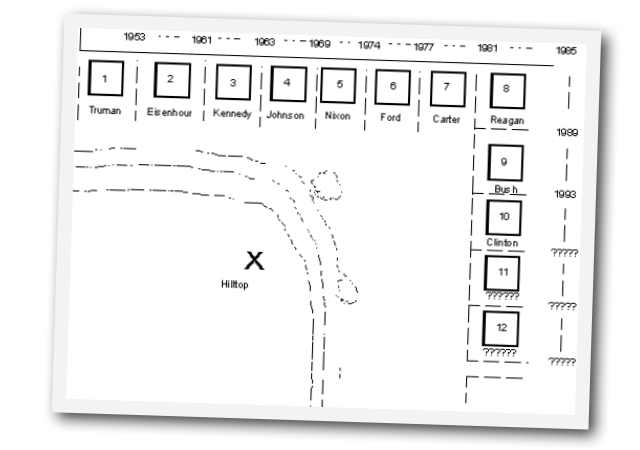 He mentioned that clouds were gathering over house number 1o – which would have been Clinton’s house, and continued to house #12. While Martin draws the conclusion that the stars mean the last president falls, what it could mean is that something falls from space during that presidents term. I believe we are getting a flood of prophecies about this time in history because something major is going to take place. The row of new houses may represent that more leaders come after house #12, but it will be a completely different nation, and in a new direction…..bad or good. The houses are continued, but in a different location. Something happens to the United States in that #12 house, but the houses continue. Notice that between #8 and #9 we have another separation of blocks. 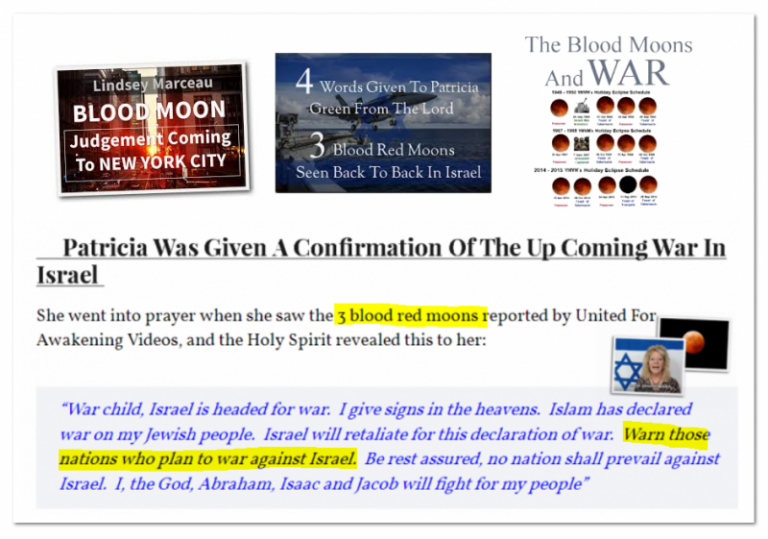 There is a massive difference between Reagen and Bush Sr.
Look through the dreams and words below about blood red moons. Often they speak of war. Could it be that house #12 sees war in Israel, or war in America ? More speculation on my part…. What do you think? Leave your comments below in the comment section. In 1971, I received a vision of the night in which I was shown a row of houses. It was not until 23 years later that the Spirit gave me a dream, which held the key to the meaning of these houses. They represent presidential administrations, starting with Truman in 1953, and extending into the future for two more presidents (beyond Clinton). Can you see the miracle that God some-how manipulated the houses, events, and even street names so as to coincide with this vision of the night!!!! This in an undeniable, verifiable miracle where God used (and is using) an existing neighbor-hood to lay out His plan for America and the manifestation of the Antichrist. We are in house #10 now. Hold onto your hats, because the next dozen or so years are going to be a roller coaster ride!!! Linear Recounting of the Vision of the Night: “We were fleeing the persecution and calamity of the day. A brother was fleeing with me. He fell and I paused to help him up. We prayed “Lord Have Mercy”. My friend vanished, and I looked around to see that I was at the top of a hill overlooking 12 houses. As I looked to the west, I noticed dark and ominous clouds gathering over one house (#10) and proceeding through to the last house (#12). I looked into the sky over #12, and saw an arc of what appeared to be 6 stars in the sky. One of the stars fell to the earth like a fig that was shaken off a limb. A voice came to me and said, “look to the east!” I began to turn to the east, fully expecting to see the Lord coming in the clouds. The dark clouds opened up in two places and I saw the sun darkened and the moon turned to blood. As I looked to the east, instead of seeing the Lord in the sky, I saw an army. This army was made up of ancient armaments such as battering rams, catapults and siege ramps. I ran down and joined the army at house #5. Instantly, I was transported into the future and found myself before, (what I can only call), a “temple fortress”. The city was gray, in ruins, and desolate. A man had just emerged from the huge double doors of the temple fortress. He was dressed in a suit. A voice said to me “he says he is god, but he is of devil”. The vision ended. 6th star falls to the earth. Understood to mean the fall of a ruler (or president). I waited for 23 years to receive a clue as to the meaning of these houses. In another dream in 1995, I was in the back yard of house #3. I looked down at my feet and saw a LIFE magazine, with a picture of JFK on the cover, and the words “In Memory of Dead Presidents”. House number three is the house that represents the term of John Kennedy. The Houses: As Stated above, each house represents a presidential administration. Nothing significant revealed about this house. In a related dream, a model rocket was launched into the air and was drifting down into yard of this house. The rocket then turned into a glider and glided into the yard. My aunt used to refer to me as her “rocket boy” because of my early interest with model rocketry. It was in the Eisenhower Administration that I was born. (1954). It was during this dream that I ran through the back yard of house #3 (to retrieve the falling rocket) and was shown the Life Magazine with Kennedy on the cover. It was then that I knew that these houses represented presidential administrations. The yard in which I was shown the key to the meaning of the houses. The Life Magazine with JFK’s face on it with a caption stating “In Memory of Dead Presidents” was in this yard. It has been suggested that all the presidents on this “street” must pass away before the events discussed in the remaining revelation can occur. This would mean all presidents up to Carter and maybe Reagan (his house is on a corner lot). This house was occupied by a family of Jews named Levine. It was during the administration of LBJ that Jerusalem was returned to Israel during the 1967 Arab Israel war. Levine is a long form of Levite. This is a very significant event in the history of the world. With the retaking of Jerusalem, the temple can be rebuild and the stage set for both the setting up of the anti-Christ and the return of Jesus Christ. It was into the yard of this house that I ran down and joined the army of God which was marching forward through time (the backyards of these houses). It was also in the Nixon administration that I was saved, filled with the Spirit, and had the vision I am now describing. Every-thing up to this point had already happened in time. However, everything recorded in the remaining houses had not yet happened. It is significant to remember this president, since it will be (according to the falling star and darkened house #10) the 6th administration after Nixon that will endure the beginning of judgment on America, including the fall of that 10th president. A Major shift occurs in the time of this president. The house sits on a corner lot, and the row of houses changes direction TO THE RIGHT. It can be noted that the nations’ politics took a sharp turn to the right during the Reagan administration. Right or wrong, this shift undoubtedly was in the plan of God for the series of events leading up to the last presidents and the fate of the nation. Nothing significant in this administration. It is this administration that is the main focus of the vision of the night. Over the house was a very dark cloud, so dark that it seemed like night. The cloud was very low so as to almost touch the rooftop. There was something very significant about the “back door” of this house that may have some meaning. The lights were on in the house and they stood out brightly in the darkness created by the cloud. As I looked at this cloud hanging low over the 10th house, I also saw, an arch of 6 stars in the sky to the west. The stars were of different colors, and the last (sixth from Nixon) of them fell to earth like a fig that was shaken loose from a limb. I have taken this to mean that this administration will preside over some very bad times in the USA, and that this administration will “fall”. If my understanding of house 10 and the six stars is correct, then Gore is in line to succeed Clinton as president. Assuming some tragedy does not strike them both down. In the yard of this house is a large weeping willow tree. This tree represents mourning and sorrow. But under the draping limbs of this tree are children playing. SOME HAVE SUGGESTED THAT THE PICTURE OF THE MAN WHO WAS SHOWN TO ME AT THE END OF THIS VISION OF THE NIGHT IS ACTUALLY V.P. GORE!! This is the last house that I saw in this vision of the night. After this house was a dirt path that lead toward a collection of boulders arraigned in a semi circle which reminded me of a place where a trial was held and judgment rendered. In another dream which took place during the millennial age, I was standing among these rock looking at the ruins of a world rocked by the tribulation. In the ruins of these boulders I found a witch doll. I knew immediately that on of the reasons that the USA was judged was because she had gone after the occult and witchcraft. Across from the path after house #12 was a new row of houses stretching off into the distance. These I believe are the rulers of the land that Jesus will set up during the millennium. In the vision of the night, (after I saw) the coming in the clouds. As I turned I saw the clouds part and I saw the blood moon and the dark sun. Both of these are symbolic of judgment being levied on a nation and the fall of a nation. I continued turning to the east and saw the ancient army approaching from the east through the yards of all the houses of the presidents. It was then that I ran down to join this army in the yard of the house of Nixon. This was 1971, the year I was saved. Immediately the scene changed and I was in the middle of a city in gray ruins. I saw a man emerge from what I perceived to be a “temple fortress” who was dressed in a diplomatic suit and carrying a briefcase. A voice said, “He claims to be God, but is of devil “. Then the dream ended. Perhaps the greatest miracle concerning this vision of the night, and the hardest to conceive, is that the neighborhood described is an actual neighborhood from my childhood in Massena New York!!! The street was called “Washington Street” ( for presidents?). The houses are just as I describe them, and were that way long before I had the dream. There really was a family of Jews named “Levi” in house #4. The street did (and still does) take a right turn at house #8. House #11 really does have a weeping willow tree under it, and children did play there… because I was one of them in my early childhood (early 60s). There really is a path leading up from house #12, and there really is a collection of boulders at the end of that path! There really is a row of houses stretching off into the distance on the other side of that path. Can you see the miracle that God somehow manipulated the houses, events, and even street names so as to coincide with this vision of the night!!!! This in an undeniable, verifiable miracle where God used (and is using) an existing neighborhood to lay out His plan for America and the manifestation of the Antichrist. We are in house #10 now. Hold onto your hats, because the next dozen or so years are going to be a roller coaster ride!!! I am reminded by a few that many of the new subscribers may not be aware of my 1971 vision of the night and how it relates to the history of the US from the 1950s into the next century. I was given a vision of the night that depicted the last 12 presidents of the US. Each administration [2 terms counts as only 1 administration] was represented by a house on a street (called Washington Street incidentally). These houses (starting with the house representing Eisenhower) proceed through till two presidents from now… (2 after Clinton). I was given this in 71, when Nixon was president. I have really been holding my breath for some time now. Based on this vision of the night, I (in 91-92) said that Clinton would be re-elected for a second term and would not finish his second term. Up till last week (with an approval rate of 62%) it was hard to believe that he would fall. Yet the events of the last week seem to be pointing us toward that possibility. Why would the Lord tell us this 27 years ago? (the earliest record of the vision I can find is in a journal I have from 1973). It will be 27 years ago in February that I received this. It was actually in response to a prayer. I knew that difficult times were coming and was taught that we were to be raptured out of the trouble. But something in my spirit said no. My prayer was out of that troubled spirit. In response, this dream was telling me that we would be here, that great changes would take place when we see this president fall [the one after Clinton], and that we should not be troubled! He [the Lord] can save us and keep us safe rapture or no [not]. You see, right after the fall of the sixth star [the one after Clinton], I turned to the east fully expecting to see the Lord coming in the sky, which is the rapture theory that I had been taught and had prayed about. I did not know what the word of wisdom was then, and this dream really had a profound effect on my spiritual life. It was by far the most powerful spiritual experience in my life. I walked around in a daze for days! (2.) Great problems for the country and believers. (3.) An outpouring in response to persecution. (4.) Historic events in the Mideast. (5.) A great destruction in the US. I wish I could be more specific. In the dream I saw a man who looks a great deal like Gore who presided over the destruction. I am really still up in the air about this. For many many years I thought this figure in the dream was the Antichrist (it is still that way on the web page). It still may be. Some have written to me and stated very strongly that they believe the person I present on the page is Gore. It could be. There is a resemblance. Light treatment of spiritual things In the church: modernism and tradition The overall rejection of faith and spiritual things. House #12 will begin in February 2009. If this vision is correct, that President for house 12 will be the last president. This supposed president turned out to be Barry Sorotoro (AKA Barack Hussein Obama). It is obvious to all but the completely brainwashed that this man is not a proper president. He has not proven eligibility to be president by constitutional directive. He has also not taken a proper oath of office. This leaves the question was Bush the last president, or is Obama, even though legally he is not? Will “O” (the one) be the one who will shortly become the world government leader/dictator? Even if that is not true, the office of president will be eliminated, and the USA will be just a territory under the one world government, with the office of president no longer needed. It is becoming ever clear that Saturn will be turned into a second sun at this time, probably at the same time the one world government leader will be announced publicly. look for this to happen in 2010, sometime around the 7th or 8th month according to NASA. 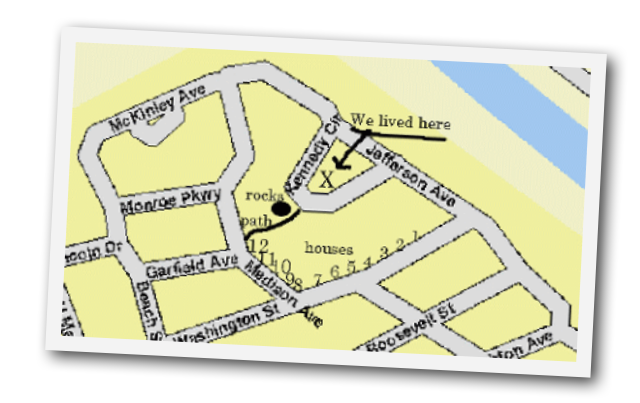 1971, updated 6/1/97 C. Alan Martin – All commentary is the original, except where I … Since the time that this was written, we have seen the Monica Lewinsky … In 1971, I received a vision of the night in which I was shown a row of houses. Sep 2, 2015 – Page | 1. The House Vision of the. Night. C. Alan Martin ….. Vision of the Night. In the spring of 1971, shortly after I was saved, the Lord gave. C. Alan Martin has based his prophecy of houses on terms of presidency due to seeing an article about … Over the house was a very dark cloud, so dark that it seemed like night. … edit on 19-1-2012 by ZeroUnlmtd because: (no reason given). edit on …. I enjoyed reading your take on the Vision of the Night.